Although we tend to take the Japanese martial arts for granted these days, back in Victorian times they were pretty much unknown outside Japan. Queen Victoria ascended to the throne in 1837 beginning the Victorian era and we should remember that at that time Japan was a closed country that did not permit foreigners in or Japanese people out. Commodore Perry did not sail into Edo Bay (Tokyo Bay) until 1853, an act which resulted in Japan very reluctantly opening her doors to foreign trade in 1854. It’s also worth remembering that Japan had closed her doors to foreigners in 1639, not long after the Shimabara Rebellion was quelled in 1638. The Shimabara Rebellion was in a sense “Christianity’s last stand” in Japan as it was led by Christian Japanese who were not willing to have their faith stamped out by the Tokugawa Shogunate, and they were joined by ordinary peasants who were suffering deprivations at the had of the local daimyo (lord). The deep seated distrust of foreigners was deeply rooted in Japanese thinking even after 1854 and as a result it would have been impossible for a foreigner to access Japan’s martial arts. It was not until the work of Jigoro Kano in the late Victorian era to create and popularize Judo that Japanese martial arts began to be actively studied and practiced outside of Japan. It was in that late Victorian period that a British railway (railroad) engineer moved to Japan to work on the building of the Japanese rail system: his name was Edward William Barton-Wright. During his three years in Japan E.W. Barton-Wright managed to discover a ju-jutsu school that would accept him and teach him. He used that opportunity to full advantage not only in learning and training himself, but also in developing contacts with potential ju-jutsu instructors who might be persuaded to make the trip to Britain and be a part of establishing a martial arts school. There is little doubt that in managing to get accepted into a ju-jutsu school was a significant achievement of itself. Even in modern Japan there are martial arts schools that would be difficult for a foreigner to gain admittance to. When E.W. Barton-Wright returned to London in 1898 and he decided to open his own martial arts school with the aim of attracting an upper class clientele. 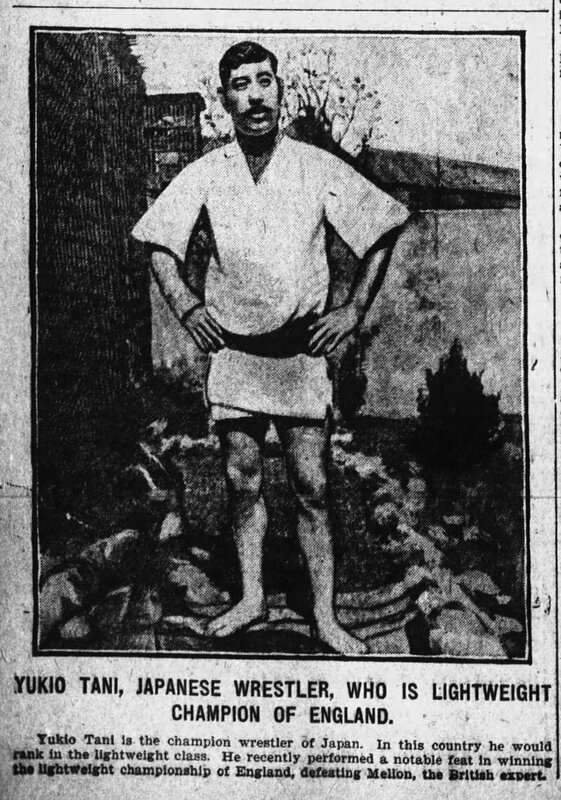 Through contact with Jigoro Kano he was able to attract a number of Japanese ju-jutsu instructors to come to London, initially Kaneo Tani, Seizo Yamamoto, and the much younger Yukio Tani. Only Yukio Tani remained with Barton-Wright with the elder two ju-jutsuka returning to Japan, but he was later joined by another young instructor Sadakazu Uyenishi. 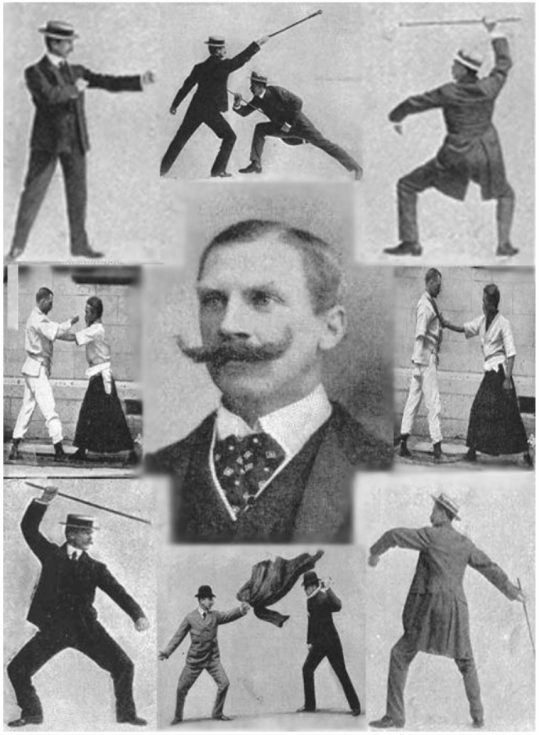 In addition to the ju-jutsu instructors Barton-Wright also brought in exponents of European martial arts, notably antiquarian fencing led by Captain Alfred Hutton, French savate and “la canne” stick fighting, British boxing, and Swiss schwingen. Barton-Wright called his new institution the Bartitsu Academy of Arms and Physical Culture, which was informally known as the Bartitsu Club. Despite its promising start and the caliber of the instructors involved Barton-Wright’s club only lasted until 1902 when it was forced to close its doors. It would seem that Barton-Wright was unable to maintain the initial momentum of publicity and membership and so the club became inviable. 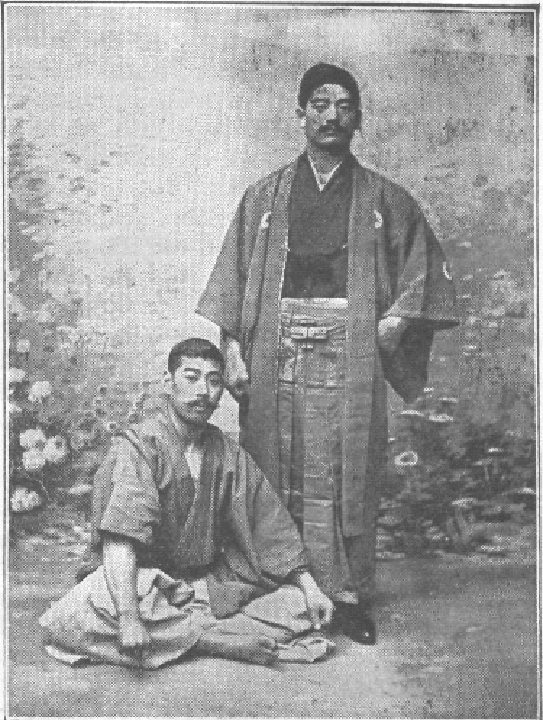 The two Japanese ju-jutsu instructors opened their own schools and it was Sadakazu Uyenishi who teamed up with two members of the old Bartitsu Club; Edith and William Garrud. 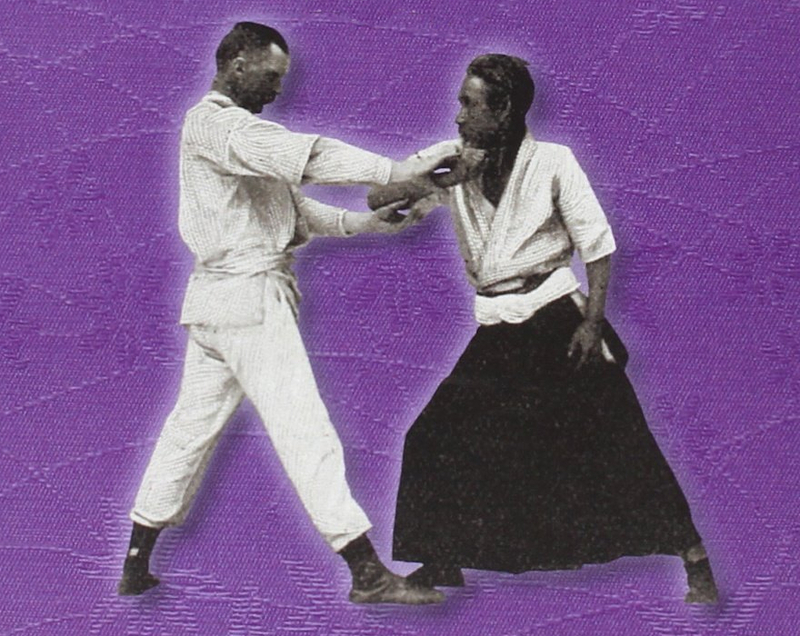 Yukio Tani (left) and Sadakazu Uyenishi who teamed up with Edith and William Garrud to form his own ju-jutsu school. (Picture courtesy bartitsu.org). It was to be the partnership of Uyenishi with Edith and William Garrud that would have its own unique impact on British politics. 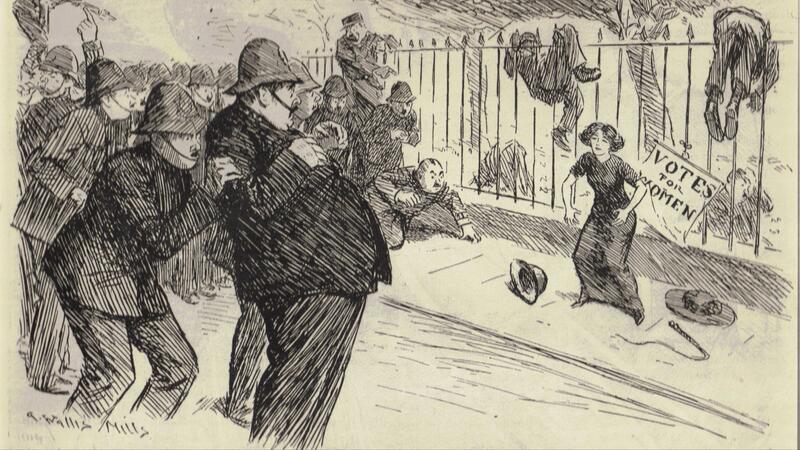 This was the era of the Suffragette movement, and the British police were being used to break up Suffragette assemblies and arrest the Suffragettes on whatever charges could be trumped up. Edith Garrud trained up a group of women who were called “The Bodyguards” and whose role was to protect the women’s movement leaders from the police. They were apparently quite successful and played a role in British women finally getting the parliamentary vote for those over thirty years of age in 1918, and for all of twenty one years of age in 1928. Bartitsu did not fade out of existence however and was initially immortalized as Barjitsu, the secret martial art of Sir Arthur Conan Doyle’s fictional character Sherlock Holmes. If you are interested in “The martial art of Sherlock Holmes” then there are a number of books available on the subject which make interesting reading, and there are Bartitsu clubs in various places. The Bartitsu Society is a good starting point to discover places where you can learn Bartitsu. “The Bartitsu Compendium, Volume 1: History and the Canonical Syllabus” by Tony Wolf. “The Bartitsu Compendium, Volume 2: History and the Canonical Syllabus” by Tony Wolf. 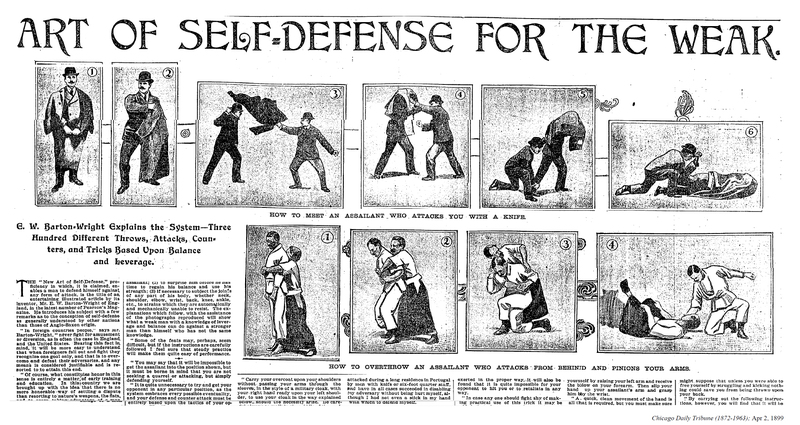 “The Sherlock Holmes School of Self-Defence: The Manly Art of Bartitsu as used against Professor Moriarty” by E.W. Barton-Wright. Although E.W. Barton-Wright’s Bartitsu school did not succeed the mixed martial art he assembled played its part in British political and literary history. And it survives today both as a reminder of a bygone age, but not just that, it survives as a practical system of self defense created so that the weak can stand against the strong: which is exactly what Barton-Wright intended for it in the first place.